NJ DWI HQ strives to help the general public especially when they may face stressful DWI charges. NJ DWI HQ is a private organization that is not court sponsored by any New Jersey court or New Jersey government agency. We receive no formal funding or authorization from any government organization. We are funded by private donations and appreciate any donations that allow us to maintain this website. 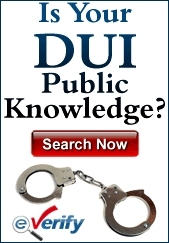 NJ DWI HQ is a private organization, not a public certification process. Accordingly, no content or recognition of any type, made on this website are submitted to or approved by the New Jersey Supreme Court or any other government office. The NJ DWI HQ website and all content contained within is not a legal expert or a court authorized program. There are no guarantees or claims whatsoever as to any accuracy of any information given from this source or any associated website or other source. You use NJ DWI HQ and all associated sites and sources at your own risk. NJ DWI HQ cannot accept responsibility for any misleading or inaccurate information or details given in questions, answers or any other content. You are warned that any advice given in one case or theoretical situation may not be applicable in another case or theoretical situation. You assume all responsibility to decide what if any information or advice is applicable to the situation that you wish to utilize it. By submitting a question, completing any form or posting any other content, you agree not to hold NJ DWI HQ, its affiliates, employees, vendors, donors, advertisers or any representatives responsible for any loss, damage or other consequences resulting to you from acting on advice or other information seen on NJ DWI HQ or any other related resource. Any opinion expressed on this site are those of individuals and do not reflect those of NJ DWI HQ. All lawyers, attorneys, law firms and other contributors to this website are responsible for their content, opinion and advertising information. Before you hire any legal professional, you should utilize your local State Bar Association or Better Business Bureau for any and all pertinent information. NJ DWI HQ has no control of any legal professional’s administration of your case or any work they conduct on your behalf. Any advice relating to any legal matter reflects the private opinion of the person providing the advice. NJ DWI HQ, its affiliates, employees, vendors, donors, advertisers or any representatives take no responsibility for any consequences resulting from following any content or advice discovered through NJ DWI HQ. If you are seeking legal advice, you are strongly advised to consult a qualified legal representative in the appropriate field. You should not ignore or disregard any professional legal opinion or make any legal or non-legal decisions based on what you may read or discovered on NJ DWI HQ or any related resource. You are solely responsible for any and all legal decisions you make. We strongly suggest you speak with a trained legal professional before making any legal decisions.